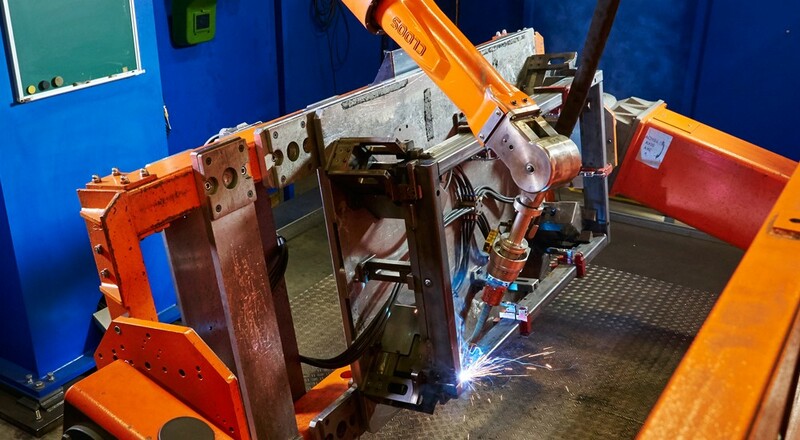 Langmatz GmbH develops, produces and sales technical system solutions made of plastics and metal for the energy technology, telecommunications and traffic technology industries. To weld the manhole systems for cable distribution a QIROX QR-CS-30 compact system is used. 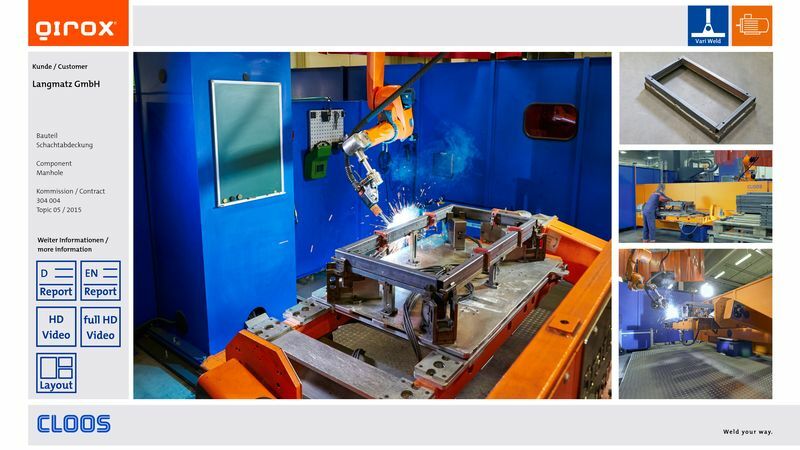 The standard system for workpieces up to 500 kg consists of a two-station rotary table incl. a turning axis and a counter bearing per station. 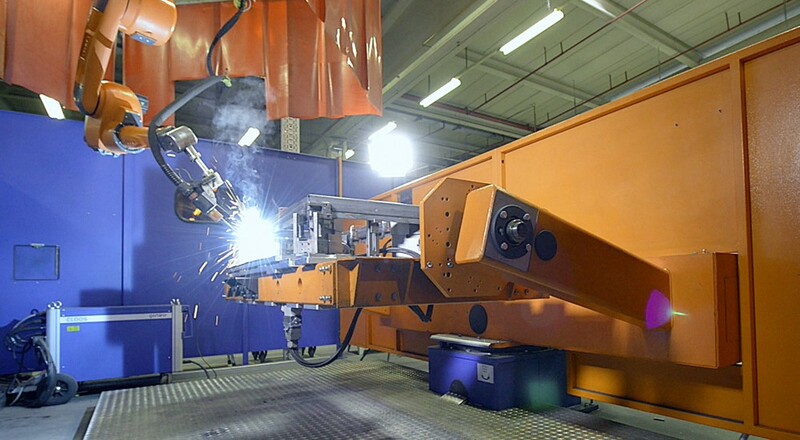 While the robot is welding the components on one side, loading or unloading is carried out simultaneously on the other station. 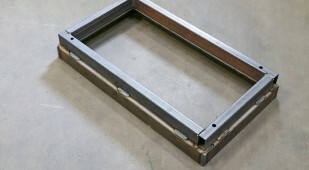 Robot and positioner are mounted on a common base frame. This guarantees a quick and perfectly adjusted system assembly. The QIROX QRC-350 robot is mounted overhead at a C-frame. 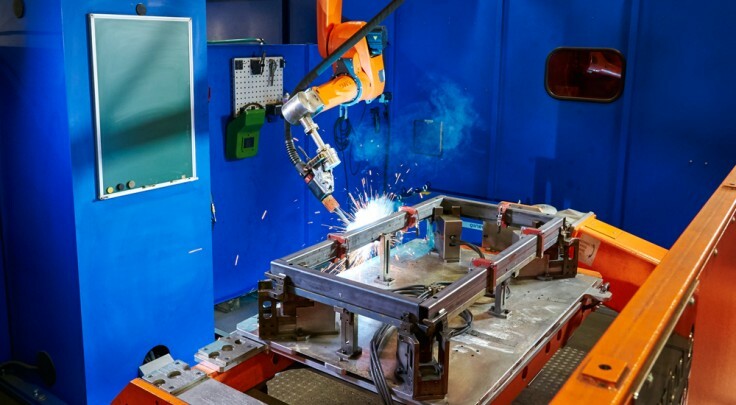 The rotating extension arm increases the working range of the robot thus enabling to weld high-volume workpieces and serves for the change between two working stations. Due to the special customer requirements the system was equipped with a third station.